Is true love something that is actually possible, or is it all in our heads? In order to understand true love, we need to understand love. Love is defined as an intense feeling of affection for someone, which means that you view someone as awesome and desirable based on your beliefs, judgments, and experiences. Once you decide that someone is attractive to you mentally and physically, love also becomes a biological process. Your body takes over and reinforces what your mind already knows – that this person makes you feel amazing! Let’s leave the biology behind and say that true love is the state you are in when you feel connected, attached, and happy with someone. It is a place where you feel a permanent sense of connection with someone else, regardless of what happens. In addition, the definition of true love goes far beyond what your body does and feels, or how you view someone in a relationship. True love can also be defined as you how you act in a relationship with someone. True love is about meeting each other’s expectations and loving each other with trust, acceptance, and support. True love is about treating someone with the kind of respect that they deserve because you view them in a loving manner. People who are experiencing true love don’t hide stuff from each other. They openly share their lives because they want to share their lives with that person. That is a part of being in a loving long-term relationship with someone. You don’t want to hide anything from them because you want them to share in your life – the good and the bad – and understand what you experience. People who are living in a state of lust, a false sense of admiration for someone, or a total sense of selfishness, will play games. When you are thinking more about yourself and your needs and pleasure than someone else, you are not in a state of true love and you will do ridiculous things with a lack of seriousness and respect for the other person. For instance, if someone feels like they want to keep someone in their lives, solely for the purpose of fulfilling a need they have, then they are going to play games in order to do that. Someone pretending to be pregnant or suicidal in order to keep someone are just two examples of games that are not a part of true love. If you have found true love, then you will give and receive respect. You will respect them for who they are and what they do in the world, including with you. You will see the good in them. You will treat them as a human being and view them as your equal, not your superior or someone who is lower than you. And, they will treat you with the same level of respect. When you have found true love, you care about each other’s happiness and health. This means that you don’t try to hurt their happiness or health in any way. For instance, you don’t abuse them, physically or mentally. You don’t put them down, stress them out, or make them feel bad about what they do. Instead, you support them and make them feel good about themselves and what they do. You encourage them to do things that make them feel happy and healthy. And you do things for their happiness and health without them always having to ask you to. This is not what a lot of people believe it to be. I hear many people (many in my direct life) who say that their abusive relationship is what true love is all about because they are willing to look past their partner’s faults and accept them for who they are. They are willing to take the physical and mental abuse, but it shows their partner just how much they care. That’s not true love, that’s being a victim. Accepting someone’s flaws means accepting that they are not perfect. It doesn’t mean accepting that they treat you poorly. A flaw is something that they have not perfected yet, such as a weakness in putting their laundry away or a lack of commitment to things that could really benefit their lives. It is not something that they do to you to make you feel bad or hurt you. When you feel true love with someone, you are considerate, generous, and friendly with them. You don’t try to hurt them; in fact, you don’t ever want to hurt them. You are concerned about them and show concern. You think about their needs. You are affectionate and patient towards them. You don’t speak harshly or use mean words towards them. I find many people are kinder to strangers than to their loved ones. How you treat others compared to your partner is something to think about when you are considering whether you are feeling true love or just in a relationship with someone who you take out your frustrations on. What is true love? It is a dedication to someone and your relationship with them. It is the willingness to do things and compromise for the betterment of the relationship. It is the willingness to put the relationship above other things and remain committed to making it happier, healthier, and more fulfilling. You do this because you recognize that the relationship is already making you a happier and better person, so staying dedicated to improving it is just a no-brainier. This doesn’t mean that there won’t be issues in the relationship. Humans have emotions, and those emotions can interfere with a relationship’s happiness. But true love is the willingness to work through arguments. You don’t think about breaking up or moving on. Your desire is focused on making things better and working through the anger, hurt, or annoyance that is happening so you can get back to a happy relationship. 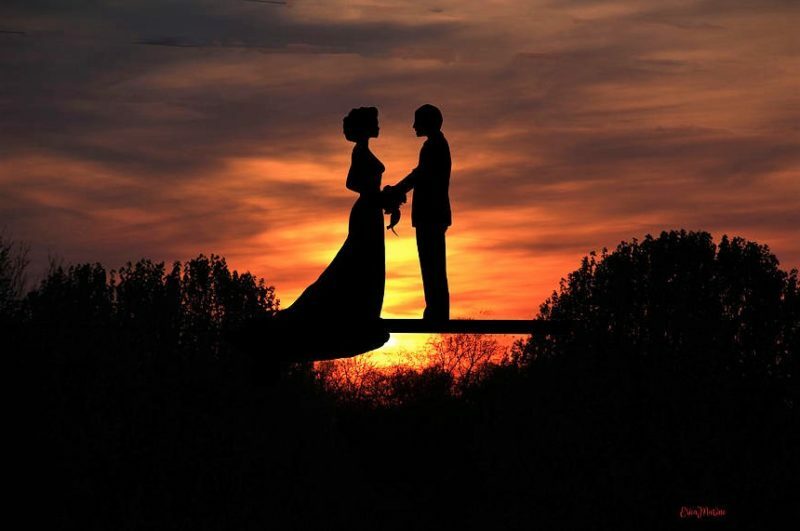 A promise to someone you truly love has a lot of weight. Promises are an extension of trust. When someone you love promises to do something and breaks it, then they are breaking your trust on some level. This is why someone who truly loves you will inform you of the times they can’t make their promises instead of just leaving you hanging in the dust, and vice-versa. When the relationship is about you, then your perspective is all that you see. But, when you are in a relationship with someone you truly love, you value that person enough to see things from their perspective. For instance, you can see their true intentions, instead of labeling what you think their intentions are. You can also see where they are coming from and why they need or want what they do in their life, instead of judging them for needing or wanting something different than you. When they smile, you feel happy. When they are experiencing joy, you feel joy too. When they are feeling loved, appreciated, or on top of their game, you feel good. Even if you are unhappy with yourself, you feel a sense of appreciation that they are feeling good. That’s what true love is really all about. You value them so much that you want them to be happy in life and free from suffering. Moreover, you don’t feel envious when they are experiencing greatness in their life. For instance, you don’t get upset that they are making more money than you or having more luck than you. Their value doesn’t decrease or increase depending on how much success they are having – or how much success or failure you are experiencing. Your partner gets sick, physically or mentally. They are struggling with a life crisis that has pushed them into a different state of being. They are struggling with finding themselves. All of these times can be tough, but if you are experiencing true love with someone, you will stay, support, and find ways to help them through their tough times. This doesn’t mean that you take abuse from them. You may truly love them, but if they move into a place where they are not truly loving you, then you shouldn’t put up with that. However, if they are trying their best and treating you with the respect that you need, then you should be willing to stay with them through their through their tough time, even when everyone else turns their back to them.